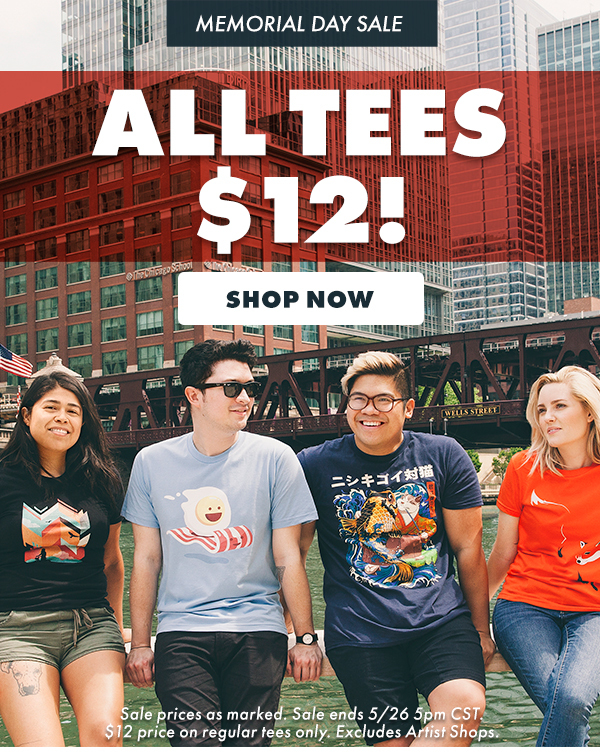 Threadless: Memorial Day Sale - All Tees $12 - Blog @ That Awesome Shirt! Sales as marked, plus 40% off everything else. $12 on regular tees only. Excludes artist shops. Ends 26th 30th of May, 2017.